Posted 1/7/2008 8:54am by Penn's Corner Farm Alliance. Happy Holidays from Penn's Corner! Posted 12/20/2007 11:02am by Penn's Corner Farm Alliance. From all of us at Penn's Corner, have a wonderful holiday season! We are excited about what lies ahead in 2008, and we hope you will join us for another great year of the best in fresh, local foods! Posted 12/10/2007 9:30pm by Penn's Corner Farm Alliance. 1. Orders are due this Friday December 14 by noon. So don't delay, the window for ordering is short! 2. We are only delivering to two locations: EEFC/Point Breeze & Goose Creek Gardens/Oakdale. Hopefully we'll be able to add more locations in the future. 3. Pickup times are as follows: EEFC/Point Breeze = 4-630pm on Wednesday December 19; Goose Creek/Oakdale = all day Thursday December 20. 4. Please bring a check along for payment when you pickup your order. You can only place an order if we've received all outstanding payments from previous Yard Sale. 5. Due to winter weather possibilities, we reserve the right to postpone or cancel Yard Sale deliveries (we really hope this doesn't happen!). 6. 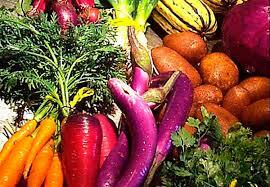 You don't have to be a Penn's Corner CSA member to order. So feel free to get to know Penn's Corner products through our Yard Sale. Thanks so much. We look forward to hearing from you. Posted 11/9/2007 11:19am by Penn's Corner Farm Alliance. It's not too early to start thinking about a CSA share for 2008! Penn's Corner is really excited about the upcoming CSA season. 2007 was a great success, thanks to our wonderful CSA members. And, we're looking for more members next year. So, please email us at pennscorner@gmail.com. We're taking the names and email addresses of all interested persons. Then, in January, we will contact you and begin accepting deposits for the new season. Posted 8/22/2007 2:07pm by Penn's Corner Farm Alliance. In case you don't live in the South Hills or subscribe to the Pittsburgh Post-Gazette, we wanted to make sure you have a chance to read this great article from August 9, 2007 on Penn's Corner CSA. Thanks to Darcey Garda and Jim McMahon for making it happen! Posted 8/22/2007 1:43pm by Penn's Corner Farm Alliance. We are now accepting orders for large quantity tomatoes: 1/2 bushel increments. Great for canning and preserving. Roma, regular, and heirloom varieties of tomatoes. We can deliver them to CSA members at the normal pickup locations. Please call or email for prices. Posted 6/15/2007 3:07pm by Penn's Corner Farm Alliance. 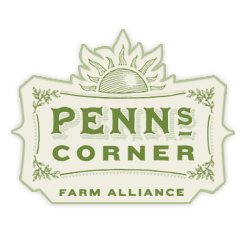 Full moon and hot sun collide and the result is a new website for Penn's Corner. Now you can stay up to date on our news and happenings. We're just getting started, but please check back as we'll be adding more features and content all the time.